Yellow Cab Taxi Service is an owner-operated company serving the people of Greater Victoria since 1921. And much more – we are more than your average taxi company! We take great pride in our combined fleet of over 110 taxicabs which are available 24/7. We have 8 wheelchair accessible vans, 5 passenger vans, and over 70 hybrid electric vehicles, making us the largest taxi company in Victoria . 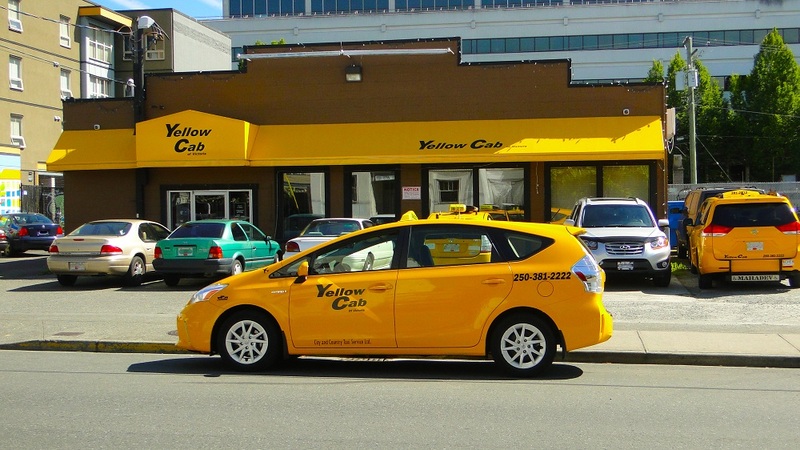 If you need to catch a taxi in Greater Victoria – chances are – the first one you will see is a Yellow Cab. We offer more direct lines in government, corporations, hotels, restaurants, nightclubs, and retail locations than any other company in the city. An attractive feature of Yellow Cab is that most of our shareholders are also active owner operators who own at least one half of a taxi in the Yellow Cab fleet. The pride of ownership is obvious when you view the well-maintained vehicles, which are cleaned inside and out every day and maintained on a regular basis. Perhaps one of the most important factors of our success is our commitment to providing the highest standard of customer convenience and service. Our automated convenient online Taxi Card system combined with our professional management team who monitor our fleet and driver performance ensures our customers receive the most efficient, courteous, safe and comfortable transportation service available. Yellow Cab has the most technologically advanced computerized dispatch system and use GPS to handle over 10,000 calls per day. This system assists in connecting customers to taxis in the most efficient manner possible.